One of my career highlights was having the opporunity to work with Formula Drift Champion on a special Ford Mustang build, the RTR-X. I was working for Electronic Arts at the time who were sponsoring Vaughn via their Need for Speed and Speedhunters programmes. 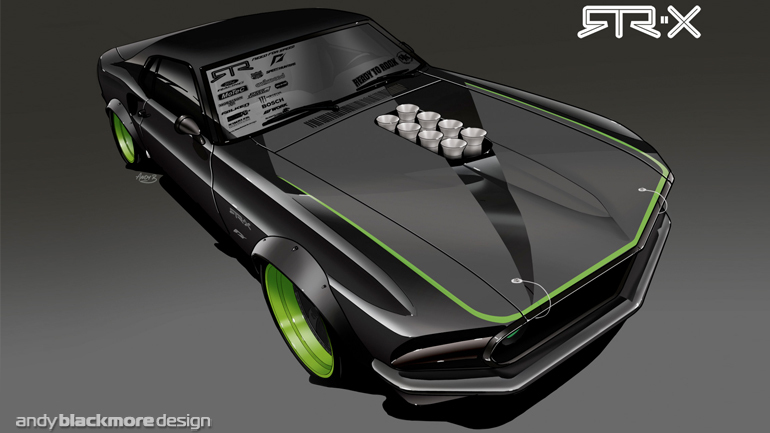 Initial discussions took place at SEMA show in 2009 and by the new year, Vaughn had a detailed brief and specification with some great reference and inspiration. 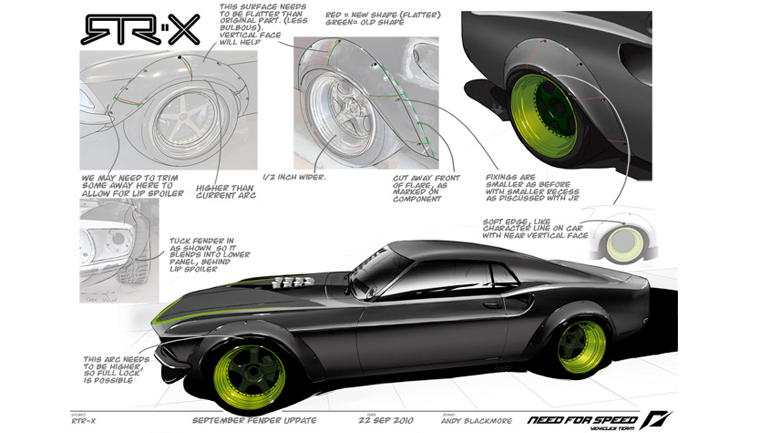 The RTR-X was based off a Dynacon reproducing 1969 Ford Mustang Boss 302 shell with a unique Art Morrisson chassis, which would aid drifting as the could would be used for demonstrations in its life. I worked up some sketches and then the renders you see here to develop the look. 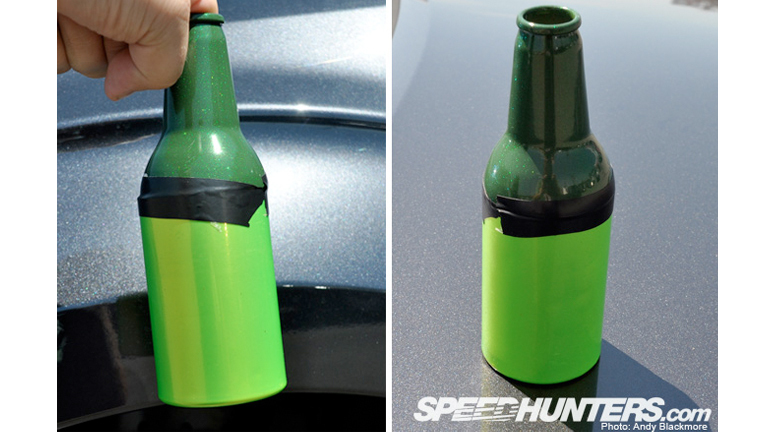 It was important for Speedhunters that we cater for more than one pillar of their audience. 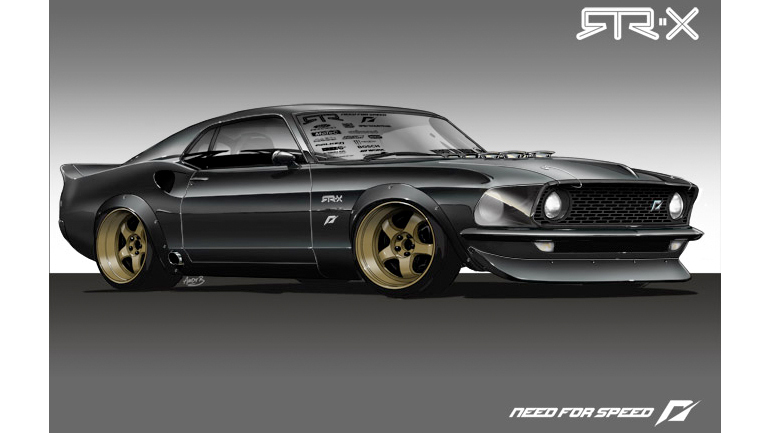 Will Roegge was commissioned by Need for Speed and Speedhunters to create this excellent ‘ Making of’ video which gives an overview of the thought process and build. 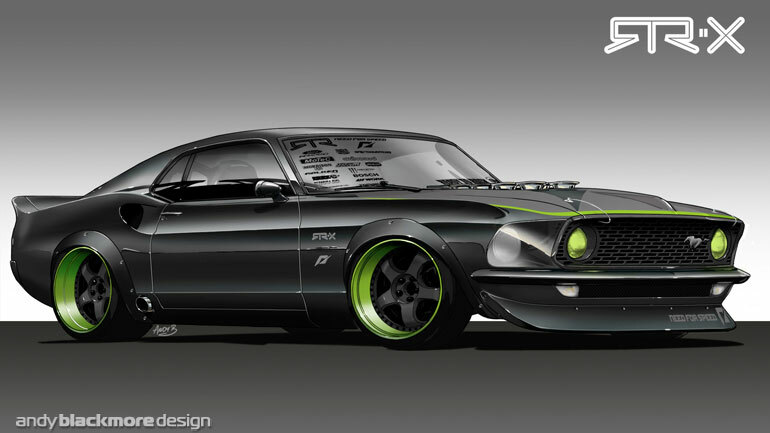 Back in the day, classic Japanese coupes and sports cars like the first generation Toyota Celica, Datsun 240Z had borrowed some styling elements from 60’s muscle cars, so we massaged classic muscle, classic Japanese with some modern elements to produce a unique one of a kind road legal drifter. This was actually the first render shown to the public. 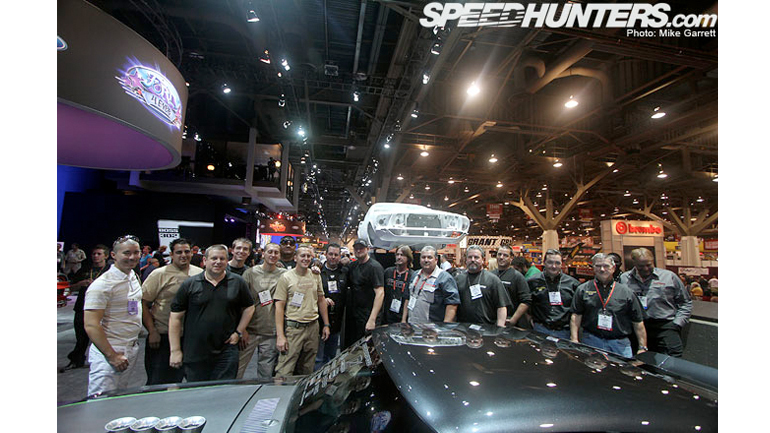 Vaughn had a great idea to get the Speedhunters collective to choose the final livery. I produced a few designs, all which met our criteria and desired look and then allowed readers to choose over a 10 day period. 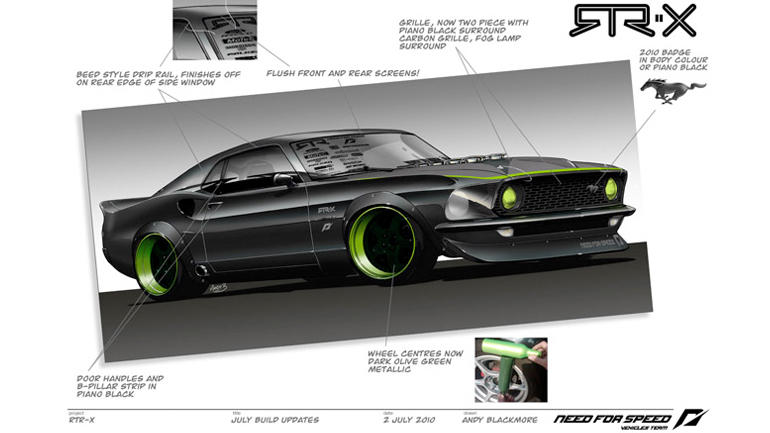 Luckily, the design choosen with the vibrant green accents was also our favourite! 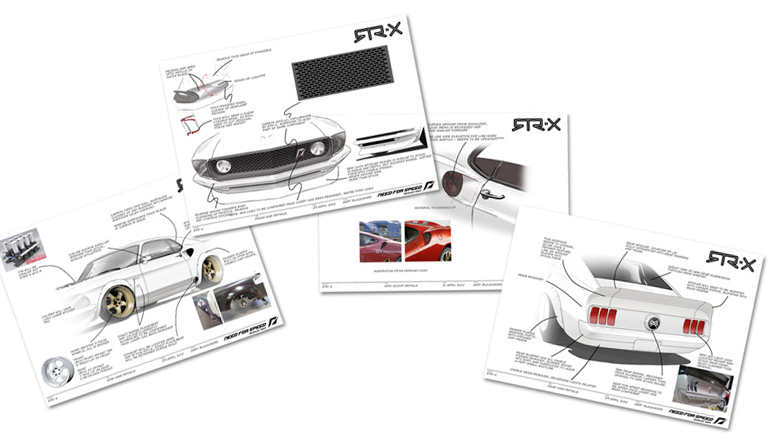 I also need to produce a wide range of sketches to convey design elements across the car. Interiors are often the most challenging, but I had a clear brief for this element. 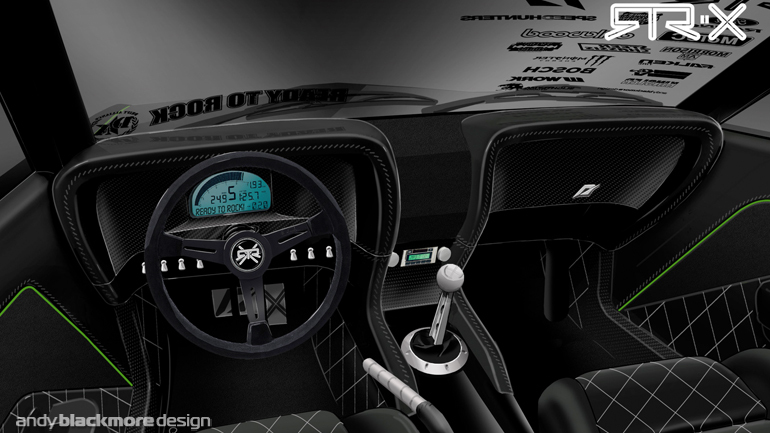 We wanted to mix 60’s style race seats and leather with carbon and body coloured elements, hence the body coloured tunnel. 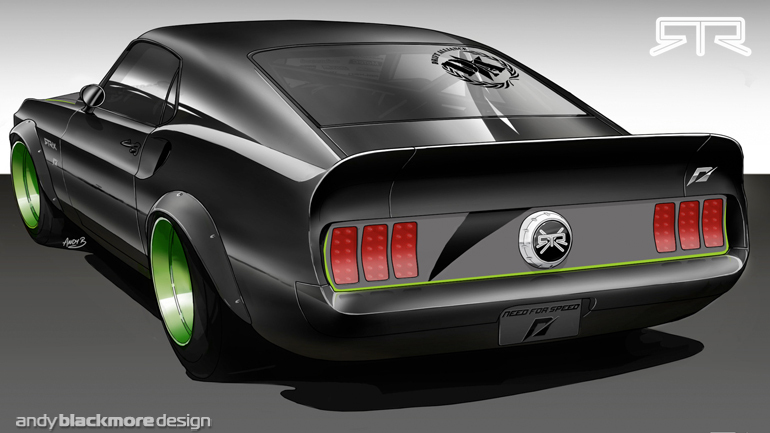 To balance the rear with the front end, both visually and aerodynamicly, I choose to extend the rear tail to give a more dramatic effect. 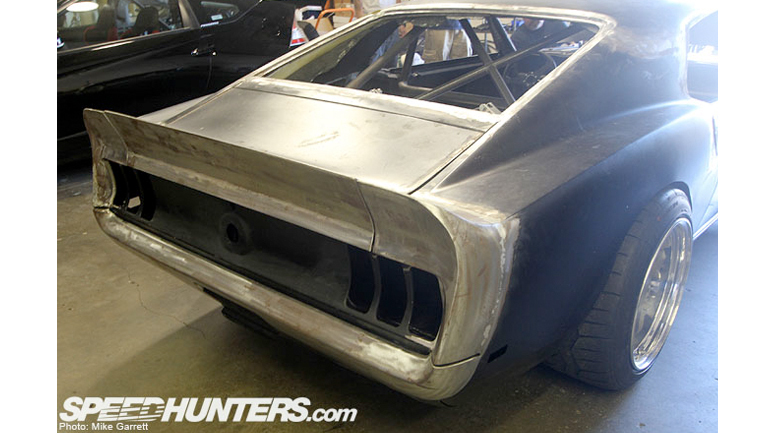 Note the rear track for the wheels/tyres and also how we closed up the gabs around the rear bumper. We were still refining details well into July. We spent a significant amount of time looking at colours. Thanks to our friends at BASF, Vaughn picked a number of colours while I was doing the same. Amazingly with our short list of base colours, we both chose the final deep Graphite Metallic, which is a Subaru colour. The last drawing to be produced centred on the wheel arch extensions (or as NA folk call it, over fenders) which we were not 100% happy about. I remember sketching these at one of the airport lounges at LAX! The final arches came out well and it was an area worth revisiting. 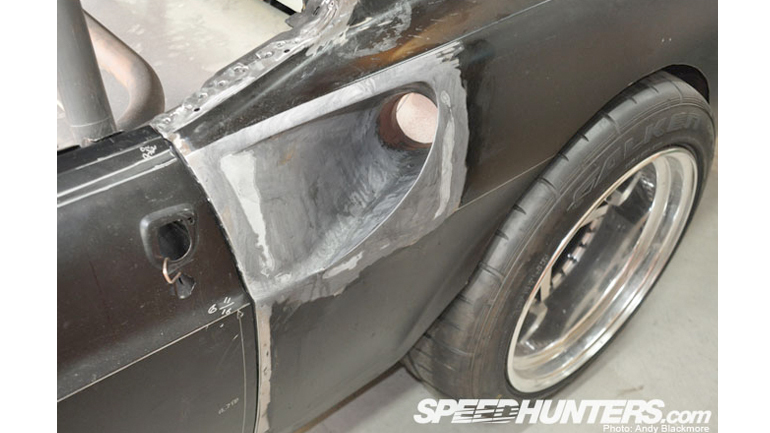 The car was ready the day before SEMA. Twins Turbo and everyone else had done a fantastic amount of work to an amazing detail. 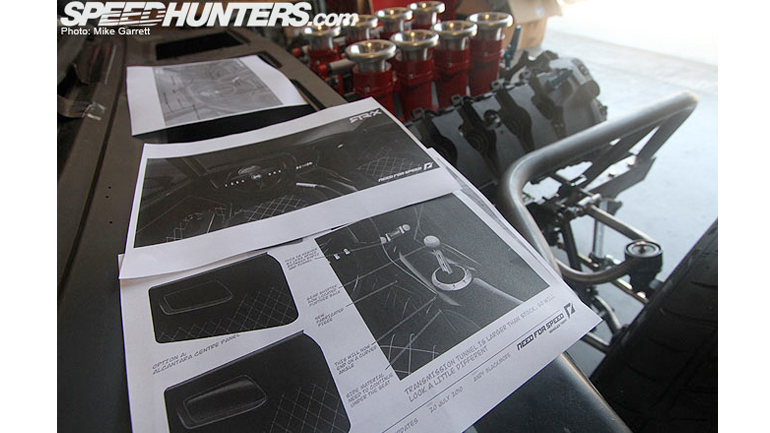 In Part 2, we look at the final design, discuss some elements of the final design.